In this seminar, you will be exploring current trends of array antenna engineering, especially for various military applications, such as direction finding, anti-jamming, and terrain mapping radars. First, an innovative approach to the design of small array antennas will be introduced as an example to explain the development process. Then, some outstanding results that have been applied for unmanned aeronautic vehicles (UAVs) and cruise missiles will be provided with visualized demonstrations. The participants will also get a brief introduction to cutting-edge research topics related to electromagnetics and array antenna engineering. Dr. Gangil Byun (S’12, M’15) received his B.S. and M.S. degrees in electronic and electrical engineering from Hongik University, Seoul, Korea in 2010 and 2012, respectively, and his Ph.D. degree in electronics and computer engineering from Hanyang University, Seoul, Korea in 2015. 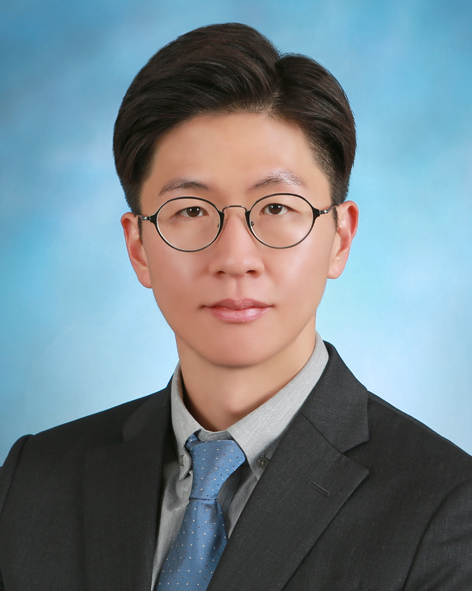 He joined the faculty of Ulsan National Institute of Science and Technology (UNIST) in February 2018 and is currently Assistant Professor of Electrical and Computer Engineering (ECE). Dr. Byun’s principal areas of research are in the design and analysis of small antenna arrays for adaptive beamforming applications, such as direction of arrival estimation, interference mitigation, and radar. His recent research interests also include circularly-polarized antennas, vehicular and aeronautic antennas, global positioning system antennas, antenna and array configuration optimization. He has actively contributed to the consideration of both antenna characteristics and signal processing perspectives for the improvement of overall beamforming performances. He has published 38 journal papers and 17 patents granted to date. He received the Young Scientist Award (YSA) from the International Union of Radio Science (URSI) in 2016, the Grand Prize at Electromagnetic-Field Paper Competition held by Korea Communications Agency in 2015, and several best paper awards from the Korean Institute of Electromagnetic Engineering and Science. ECE Colloquium: Donghwan Lee(Kim ..